Inspired by the charm and elegance of a Mediterranean townhome, Fresno at the Vineyards opens the door to luxurious resort-style living with its new collection of spacious 2-story townhomes. 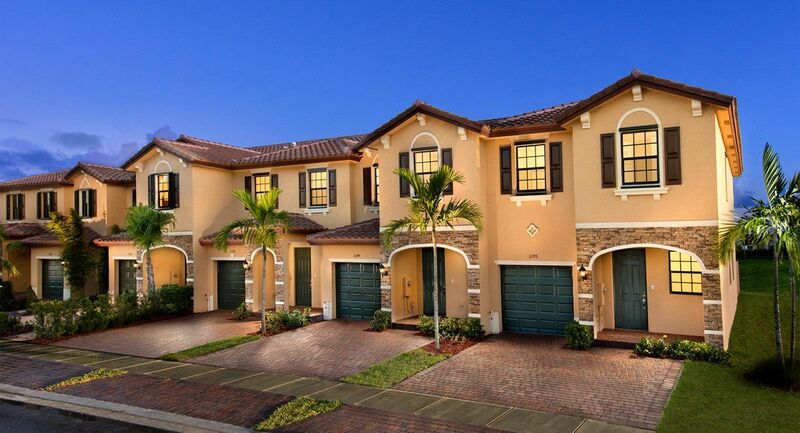 With four unique townhome designs featuring design exterior stone, attached garage, open kitchen-living floorplans and expansive master suites, the carefree lifestyle is yours. At the center of this family-oriented community residents can enjoy a resort-style clubhouse with unmatched amenities including a sparkling swimming pool with sundeck areas, children’s water park and playground, tot-lot, state-of-the-art fitness center, meandering recreation paths, breathtaking lake views, and sprawling green areas perfect for outdoor entertaining.